Sometimes life gets too hectic in our little city-state and it’s better to take a short break and go for a short getaway. But if time and money do not permit, how about a staycation? 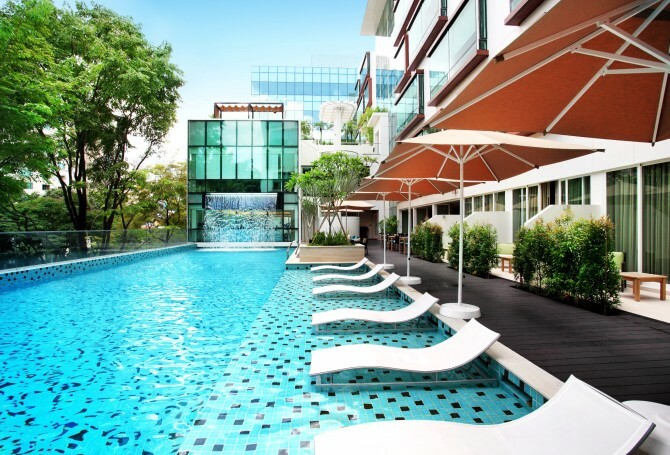 No need to go across shores, just head down to Park Regis that’s just minutes walk from Clarke Quay station. A retreat without seclusion, the staycation offers an escape from the crazy city life with a central location at the same time. The rooms feature an open concept with natural light, lush warm colours with sleek furnishing, and contemporary design. “It is very convenient and just a few minutes walk from Clarke Quay.” Ms Karin Ng, Senior Director of Weekender, who enjoyed this staycation, finds the location ideal. On the second floor, you’ll discover the 25-metre outdoor lap pool with a cascading waterfall. Enjoy a refreshing leisure dip in the pool or stretch out on the semi-submerged sun loungers as you soak up the beaming sunrays for that perfect sun-kissed skin. Escape from the manic pace and be a tourist in your own country. With this staycation package ($290) guests get an accommodation at Merchant room with complimentary upgrade to Quay room with direct access to the pool when available, complimentary breakfast for two, Sunrise juice & Sunset mocktail along with other activities. If the staycation happens to fall on a Saturday, guests get a sunrise or sunset activity. 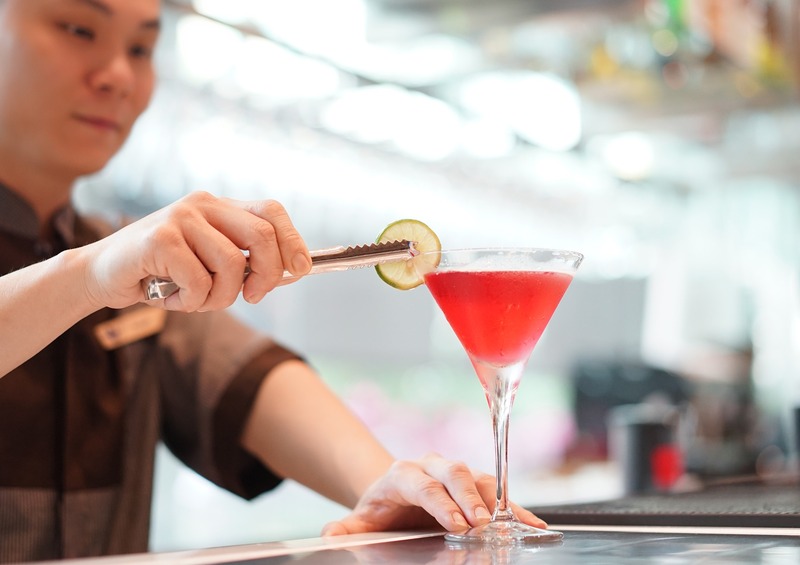 How does bartending or yoga sound? 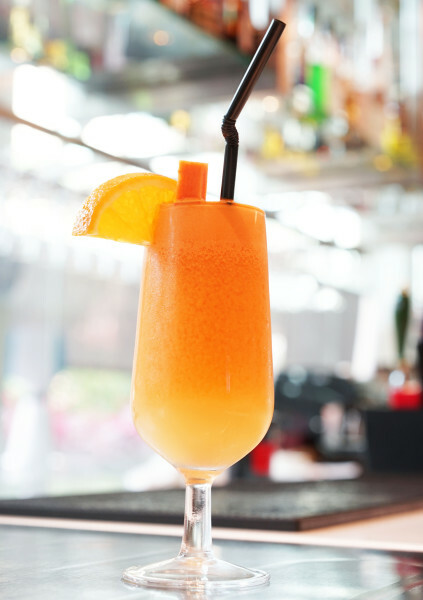 From now till June, guests can learn how to recreate the sunrise and sunset cocktail and other drinks. From July till September, sunrise yoga for fitness-fanatic or just anyone who hopes to start the day right. After having the sunrise drink and experiencing the sunrise yoga, Ms Ng comments that, “The sunrise drink, with a little of ginger, and sunrise yoga is definitely a good boost to start my day”. 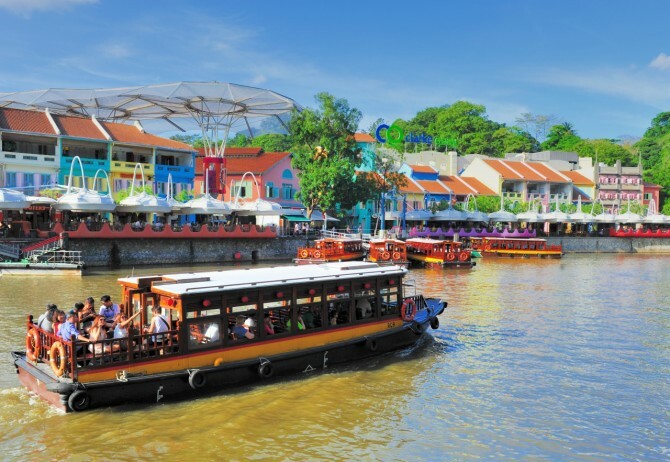 With the pair of Sunset River Cruise tickets included in the staycation package, watch the sun set and soak in the bustling atmosphere in Clarke Quay as you cruise along the Singapore River. “It definitely brought back memories of olden days Singapore, which is nice,” Ms Ng particularly enjoyed this part of the staycation. Now what is a staycation without satisfying your tummies. This package is sure to make use of the tummy space you might have. Start off the day with the complimentary breakfast for two and a cup of Sunset juice available anytime of the day. Enjoy a 23 per cent discount on ala-carte menu at Twenty3 Drink & Dine, the new all-day dining restaurant within the hotel. Hotel food is not your thing? 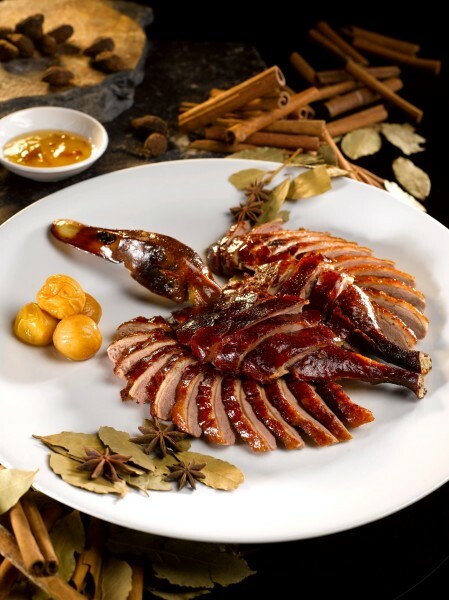 Park Regis has partnered with a few bars and eateries along Clarke Quay and Boat Quay, where 10 per cent discounts will be given to guests upon showing their room card. Harry’s, Highlander and Pumproom are just a few eateries/bars guests can enjoy their discounts.